FAU has fired head football coach Charlie Partridge (9-27) on the heels of last nights record setting 77-56 loss to MTSU. The Owls are now looking for their 5th coach in 6 years having seen Howard Schnellenberger, Carl Pelini, Brian Wright, and Partridge spanning since the 2011 season. 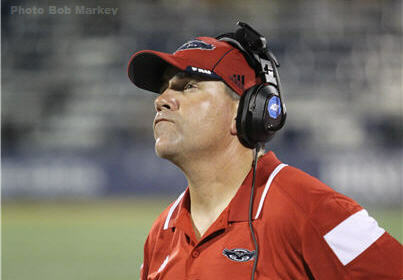 Pat Chun, FAU’s vice president and director of athletics, made the official announcement Partridge has been relieved of his duties as Florida Atlantic University’s Head Football Coach on Sunday in a prepared statement. Florida Atlantic football saw the highest team GPA ever posted during Partridge's tenure, as well as its first 1,000 yard freshman rusher in Devin Singletary. Offensive lineman Reginald Bain and linebacker Azeez Al-shaair were also named Freshman All-Americans. Chun recently made a public statement in support of Partridge, but the Owls went on to post embarrassing losses in the final two games of the season. Chun will meet with members of the media today at 6:00 PM to address questions. Of course, yoiu lose BB games by 21 you get fired! OH, this was football???? Could not tell cause we SURE DID NOT PLAY FOOTBALL D THIS YEAR! CP, YOU ARE A GOOD GUY AND SORRY YOU GOT FIRED BUT YOU SHOULD HAVE CUT YOUR FRIEND LOOSE AFTER YOUR FIRST YEAR!